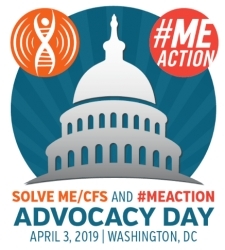 Washington, DC, April 03, 2019 --(PR.com)-- Funding for ME/CFS has been tragically neglected for decades, historically receiving $5 million per year, which falls drastically short of the parity of $250 million per year, the amount of funding ME should receive based on its disease burden, meaning the number of people sick and severity of the disease, according to research. "This is about more than a disease. This is a social justice issue. We are fighting for the research funding and medical education we need to stop this epidemic. We are fighting for our lives.” – Jennifer Brea, co-founder of #MEAction, and director of the award-winning documentary, Unrest.